Thanks for checking out our company Boiler Services Meath our gas boiler service engineers are at your beck and call. 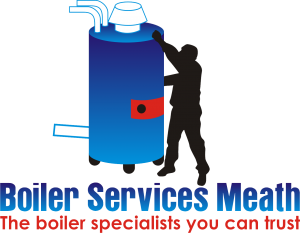 We are highly regarded and well known as Meath’s premier independent boiler servicing firm. You may ask yourself why? Well there are a number of reasons, Our rates are good, our customer service and reliability is of the highest standards and we have been keeping people warm by servicing boilers throughout the length and breadth of the county for over thirty years now. All of this equates to that irrelevant of the type, age or model of your gas boiler we have the experience and knowledge to make sure that your boiler runs to it’s maximum efficiency over the following 12 month period. We work with a totally flexible approach. We understand the pressures of work and life commitments and for this reason we operate Monday through to Sunday, 24 hours a day. This means when you need your yearly gas boiler service we will arrange the visit at your convenience. It may be an early morning visit, 7 pm in the evening or at the weekend. Whatever the time, we don’t charge a cent more. This is all part of the superb customer service we offer our customers. We only hire the best! All of our expert boiler engineers have been rigorously trained in health and safety and customer service. They are all RGI registered and possess full plumbing qualifications as they started their careers as regular plumbers. Some of our team members have been repairing, installing and servicing gas boilers in Meath for over 25 years. Our experience is second to none. Once your gas boiler service has been completed you will always receive an RGI compliance cert as legally required, with us you know you are dealing with professionals. Lifespan. Regular servicing will increase the lifespan of your boiler, saving the expensive outlay of buying a new one. Performance. Servicing regularly will make sure your boiler is operating at it’s maximum capacity. This in turn will reduce the cost of your heating bills. Saving money on repairs. Our experienced gas boiler service technicians can identify worn parts that are likely to cause the boiler to breakdown in the near future. Rectifying these at the time of the service will prevent a costly outlay and inconvenience if your boiler breaks down. Health and safety. Leak inspection is an important part of a boiler service. A boiler can develop leaks. A water leak can cause structural damage or if mixed with electricity you will have a fire hazard. A gas leak would be carbon monoxide, this gas known as the silent killer can cause illness our in extreme cases prove fatal. With Boiler Services Meath depending on the age, make and model of your boiler you can have a gas boiler service for as little as €55. You will in likelihood save more than that on your annual heating charges! Call your local experts and book today on 046-9011255.